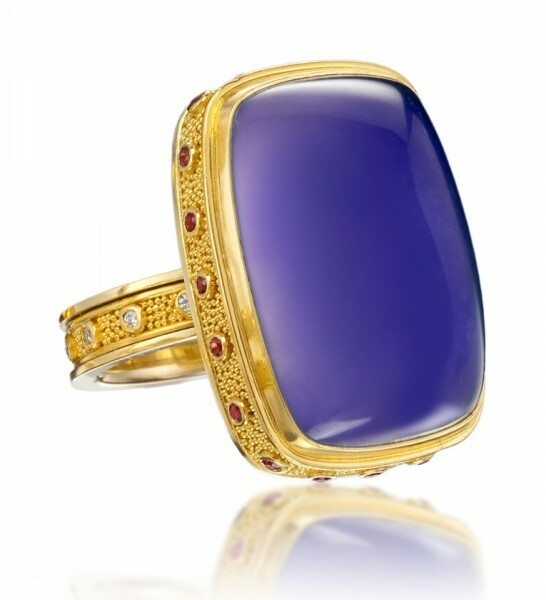 22K and 18K yellow gold ring with chalcedony, rubies, and diamonds. This piece may be reproduced. Please allow time to source stones.